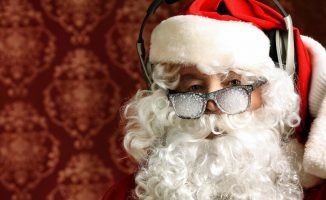 In this list we've got gear gifts ranging from controllers to lighting to headphones, all at a budget under 400 bucks. 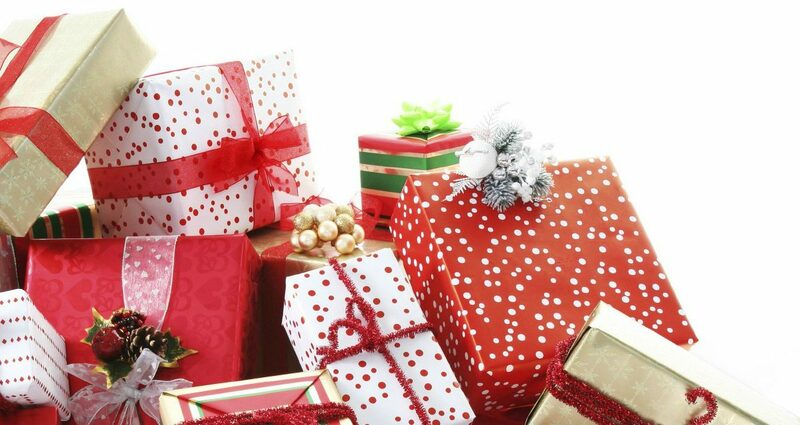 In this list we’ve got gear gifts ranging from controllers to lighting to headphones, all at a budget under 400 bucks. 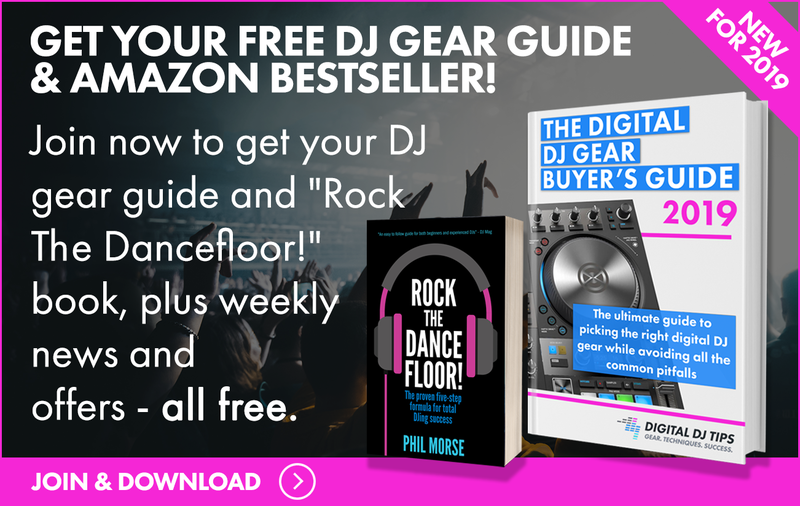 All this week we’re making Christmas lists for DJs of all budgets, so if you’re still wondering what to get that “special someone” in your life (aka you), look no further. 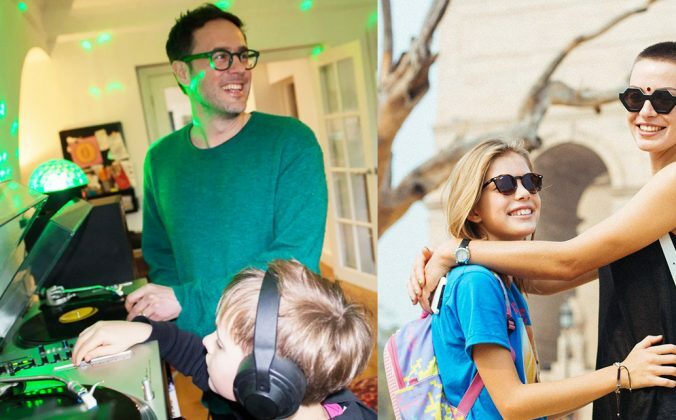 In this list (you can check the first one here), we now feature some of the year’s best gear for those on a more modest budget. Here are some of our picks from 2015 that check in from US$150 to US$399. 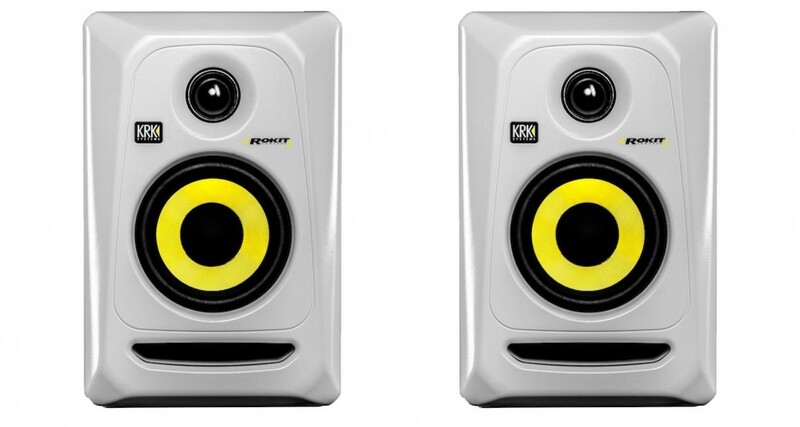 The KRK Rokit 4″ G3’s are the perfect size for a small bedroom DJ/production studio. 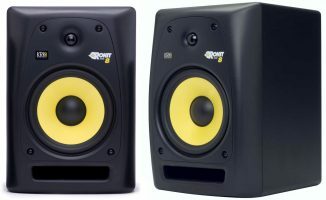 The ubiquitous yellow-coned KRK speakers have been a staple of both production and recording studios for years, well loved for their compact size, sound quality, and value. This year the company released a new colour of its smallest desktop speakers yet, and we can’t help but want it really badly even just for the way it looks. 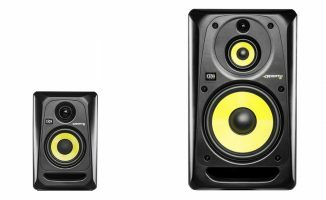 Couple that with the great sound quality to price ratio that KRK’s known for, and you’ve finally run out of excuses for poor monitoring in your bedroom set-up. Recommended. Feel the bass without rattling your neighbour’s tooth fillings with the new Subpac M2. The original Subpac was released a few years back, and was meant those who wanted a different kind of “oomph” when producing and listening to music. Like a subwoofer, it reproduces extended bass frequencies exclusively, the difference is that instead of a sub box tucked in a corner of your room, it’s placed in your seat’s back rest. 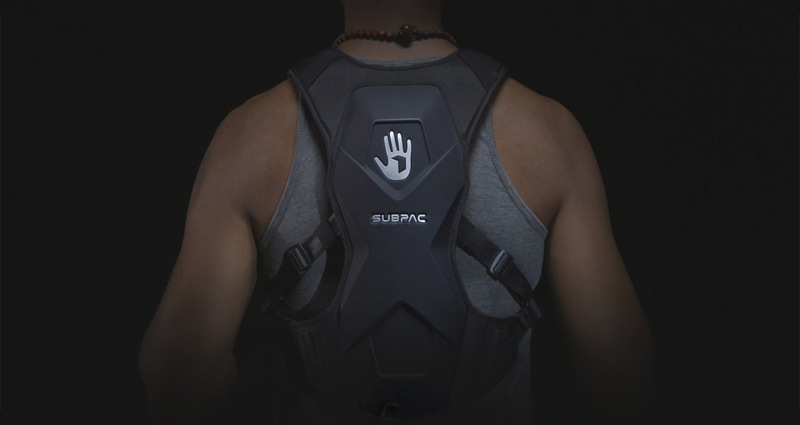 The Subpac M2 is the latest version, and instead of sitting in your chair, this time it’s strapped directly on your body – think of it as a “backpack of bass”. We haven’t reviewed it yet, but if it’s anything like the original Subpac, we think it’d make a cool gig accessory to really get you “in the mix”. 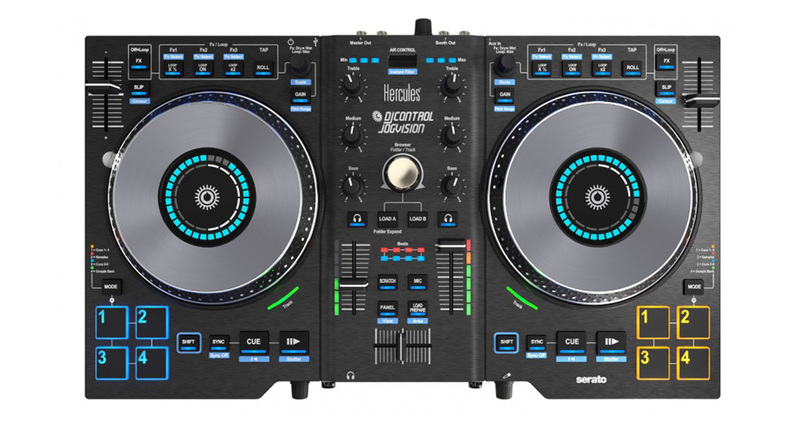 Oversized jogs and Serato DJ compatibility make this one of Hercules’ best controllers yet. 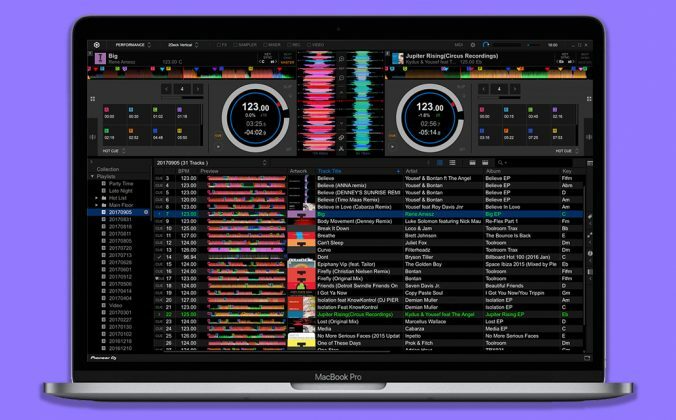 Hercules has been making controllers for a while now, but it was only recently that the company started to make devices that are directly compatible with Serato DJ. The Jogvision controller is one of those, and is easily one of the best that Hercules has made – the jogwheels are large and solid, and of course the built-in displays are useful for cueing, mixing, and even phrase matching. A solid offering from a company that’s always prided itself in being a little bit different than the rest in the design department . 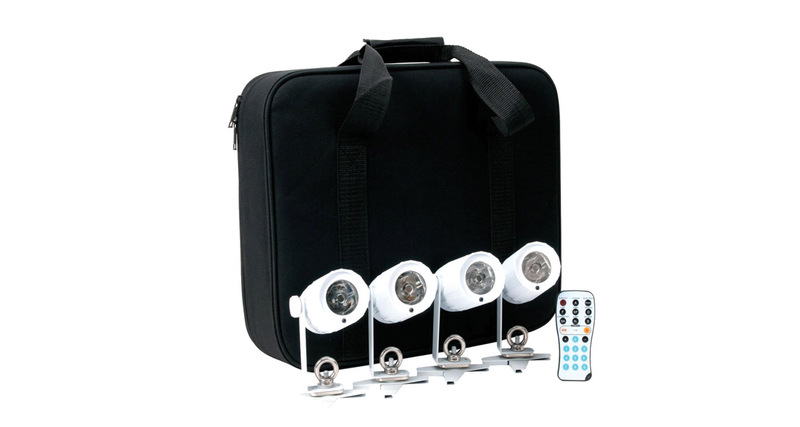 Exactly what you need to light up and accent your DJ booth at a budget-friendly price. DJ lighting’s come a long way from those bulky, hot lights that needed a two-man team with a car just to put on a proper light show. Just like DJ technology, lighting too has shrunk (thanks to LED), been made more portable, and is becoming increasingly cost-effective, making it accessible and easy-to-operate for just about anyone who can flip a switch. 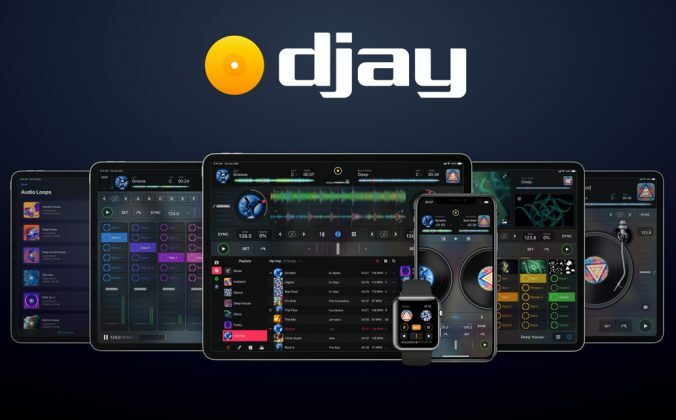 ADJ is a proponent of this, making products that make it easy even for one-man DJ mobile set-ups to get in the game. 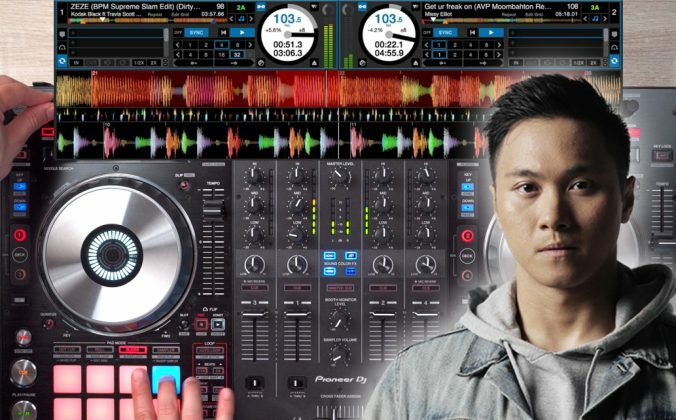 The ADJ PinPoint Go Pak is one such product, and really is a good starting point in a professional DJ’s journey by offering a lot of versatility and value for money. Denon DJ’s foray into Serato DVS significantly lowers the price barrier of spinning on vinyl / CDJs. 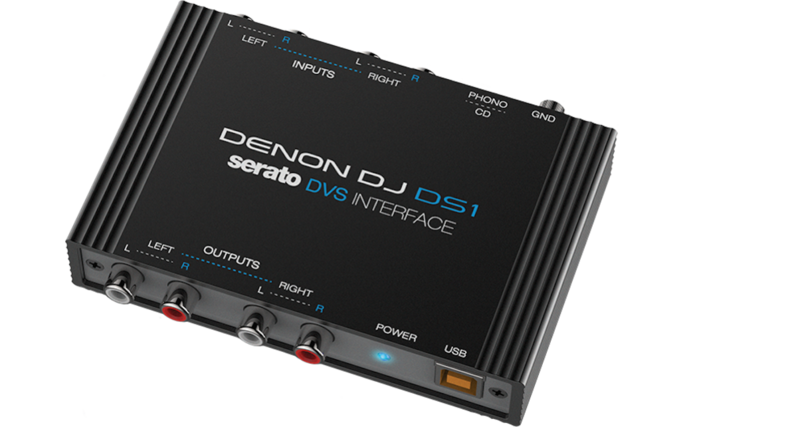 Denon DJ just released the most inexpensive Serato DJ DVS kit in the market this year in the form of the DS1. It clocks in at just under US$300, and comes with a pair of DVS control vinyl and CDs, a far cry from the Rane DVS boxes that were almost double in price (triple if you count the higher end models) a decade ago. Great way to try out DVS if you want to see what it’s like, or even if you’re looking for a newer interface than the Rane boxes of yore. Build your own headphones with the latest TMA model from AIAIAI. The new TMA-AIAIAI 2’s are built to spec, meaning you can customise it according to your needs via the company’s website (there are different earcups, headbands, and drivers to choose from depending on use), after which you receive a box that contains all the components for you to build. It’s a clever way to DIY a pair of cans. It reminds me of those old electronics hobby kits you used to order from a catalogue that you put together yourself. Definitely one for the builder in you! 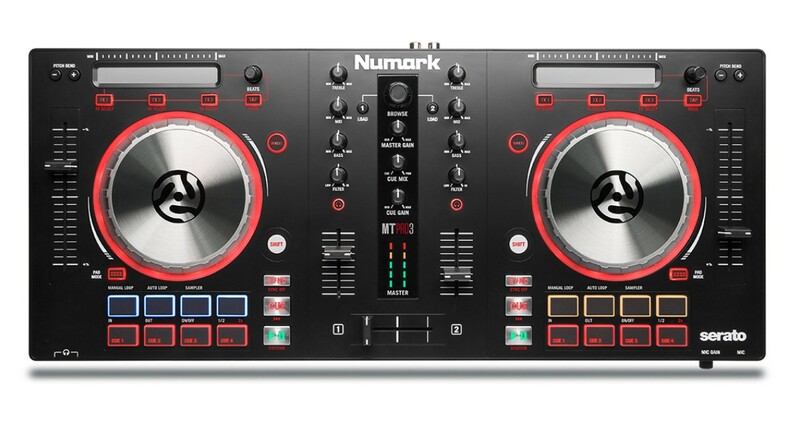 Numark’s best soundcard-equipped controller for beginners, hands down. 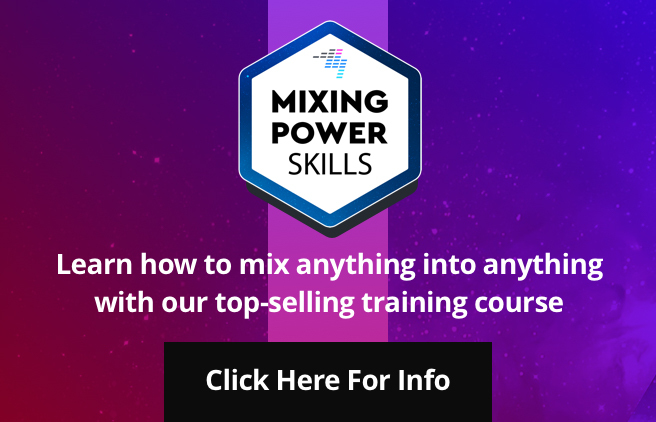 The Mixtrack Pro series is one of Numark’s most popular entry-level controllers thanks to its features and price, and the company has really stepped up with the Mixtrack Pro 3. A more serious look, redesigned jogwheels (bye bye thin platters! ), and a contemporary feature set that includes a touchstrip are just some of the highlights of this latest incarnation. 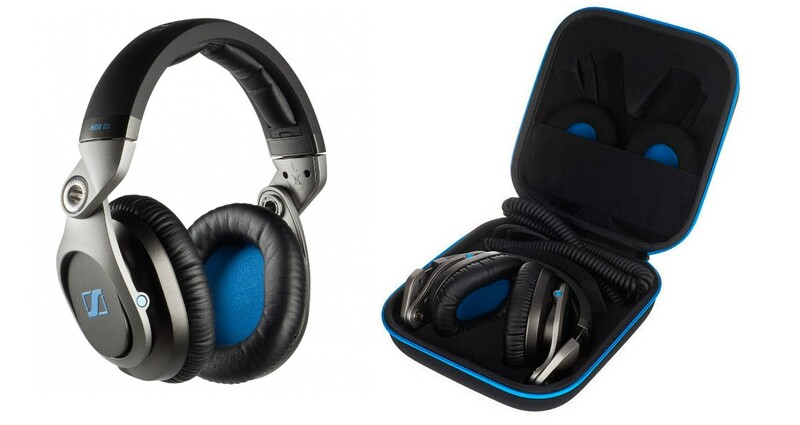 Solid build and great sound make these Sennheisers a great deal for DJs looking for premium headphones. The Sennheiser HD-25s are some of the most iconic DJ headphones in history, but it’s on-ear design and exposed wires aren’t for everyone. The company’s new flagship HD8 headphones can’t be any more different – closed ear design and a premium all-metal construction to match its price. 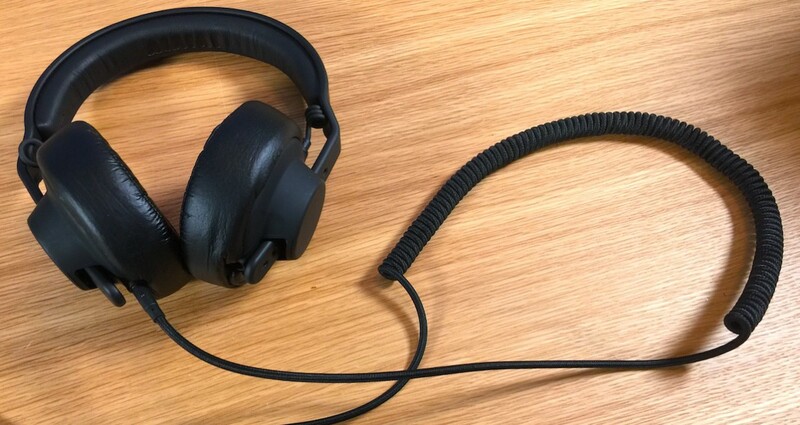 We like the metal hinges in particular, since this is the part in the headphone construction that typically snaps through wear. Pricey, but highly recommended. These Bluetooth-equipped speakers let you take the party with you. You can even hook two up with an optional subwoofer. 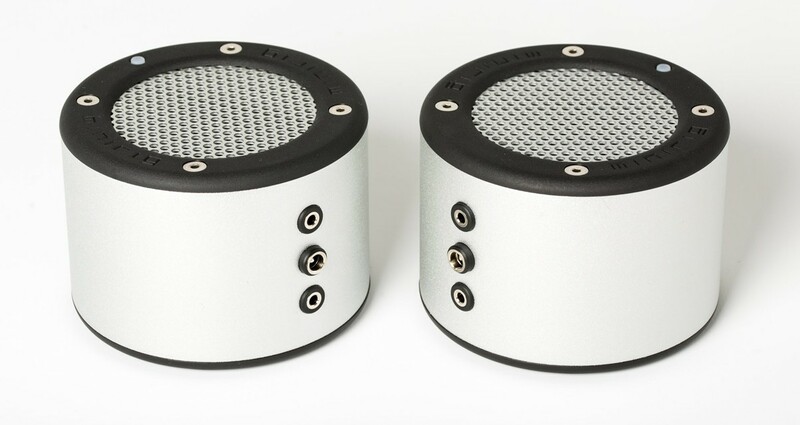 We loved the original Minirig speakers because of their big sound. 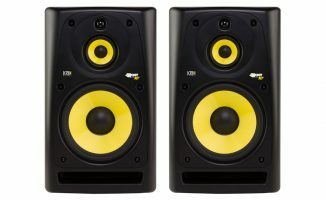 The new version of the speaker adds Bluetooth connectivity, making it even more portable than its predecessor. Perfect for road trips and small rooms that need to be filled with music. 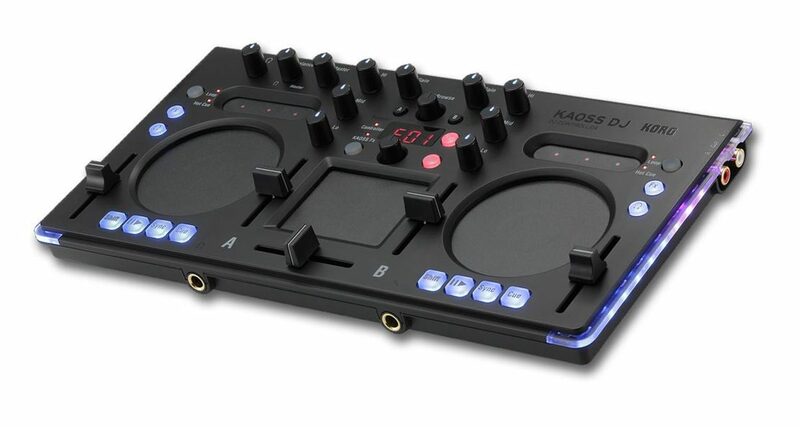 Portable and feature-packed, the Korg KAOSS DJ is the only controller with a built-in KAOSS pad. The last item on our list is Korg’s first Serato DJ controller, and it comes packing a KAOSS pad and touch-sensitive jogs (basically circular touchstrips). It’s tiny and comes with very few moving parts, making it our choice travel controller to be used with Serato DJ this 2015. 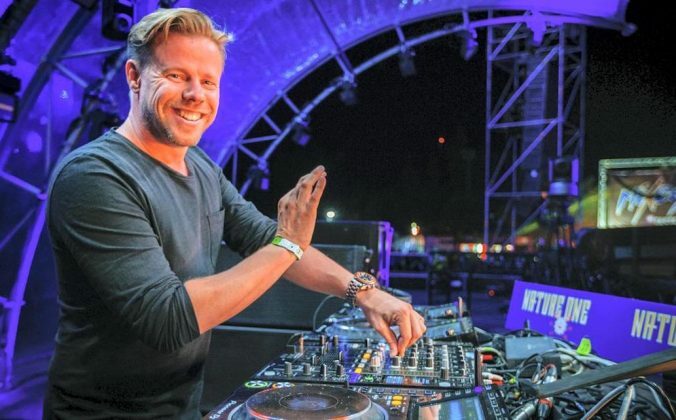 It’s amazing how capable and accessible digital DJ gear has become: An entry-level controller these days doesn’t always mean “cheap and lacking”. That means you don’t have to spend big bucks to get big features and quality, letting you rock a party even on a tight budget and we’re going to see more of that in tomorrow’s list that’s made up of gear under US$150. What other piece of gear do you think would fit in this list falling in between the US$150 – US$399 range? Share them with us!